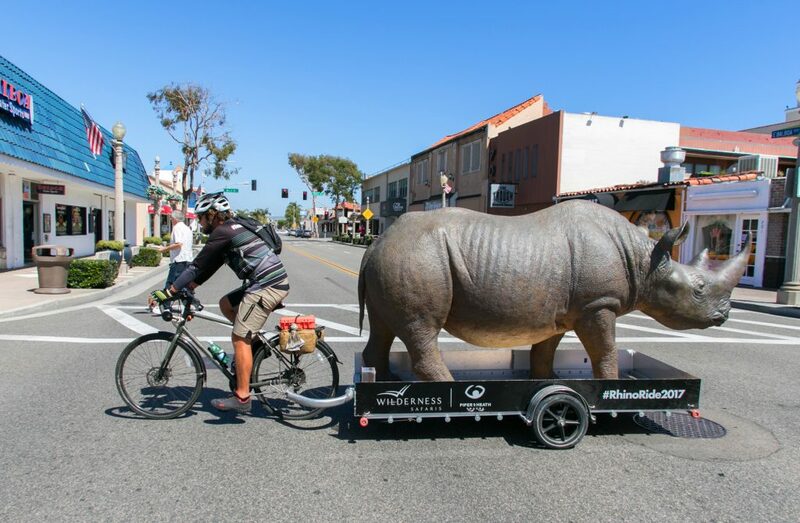 Conservationist and cyclist Matt Meyer riding and towing a fiberglass rhinoceros through Newport Beach on Tuesday in an effort to raise awareness and funding for rhinoceros conservation in Africa. 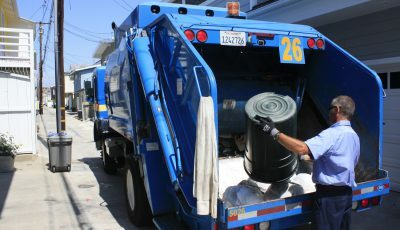 There was a rhinoceros sighting in Balboa Village this week, but fortunately it was for a good cause. 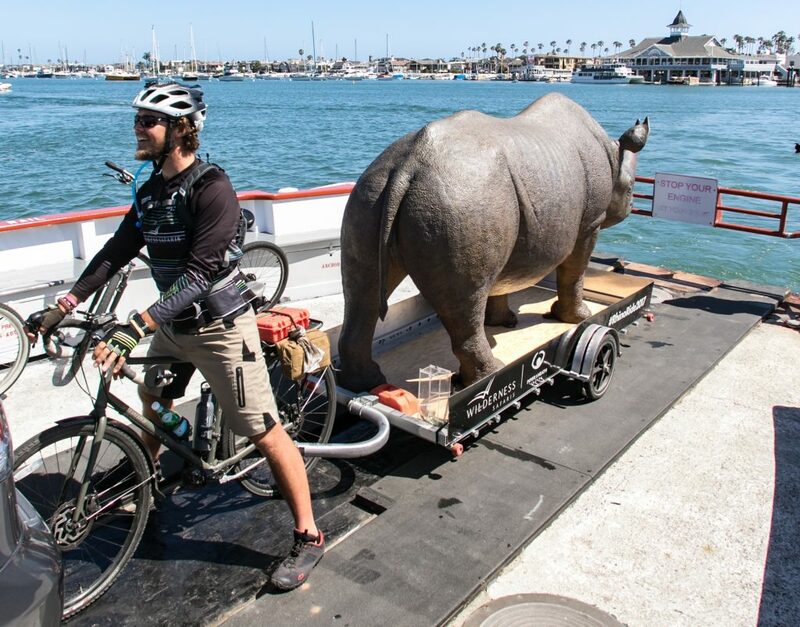 South African safari guide, conservationist and cyclist Matt Meyer decided to raise awareness and funding for rhinoceros conservation in Africa by pedaling nearly 2,000 miles south from the Seattle area to San Diego, towing a life-size fiberglass rhino. Meyer and his rhino left Seattle on April 20. 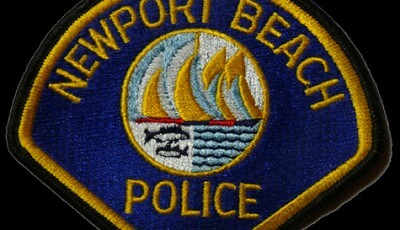 They arrived in Newport Beach on Tuesday, and plan to make it to San Diego by Friday. The goal of Rhino Ride is to raise $250,000, which will go directly to help protect the rhinos in Namibia, South Africa, and Kenya. Every eight hours a rhino is slaughtered for its horn, which in many cultures is falsely believed to hold medicinal and/or aphrodisiacal qualities, or is merely coveted as material for trinkets, dagger handles and souvenirs. At that rate of slaughter, rhinos could become extinct in the wild within a decade. Rhino Ride is being co-sponsored by Wilderness Safaris, an eco-tourism operator offering adventure-driven and family-friendly wildlife experiences in remote and pristine areas across eight African nations, as well as by San Diego-based African travel outfitter Piper & Heath Travel. 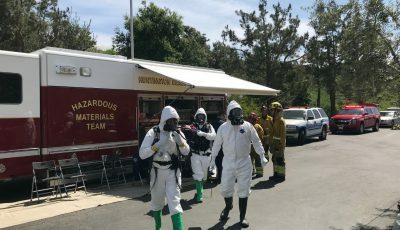 For more information, visit rhinoride.org. 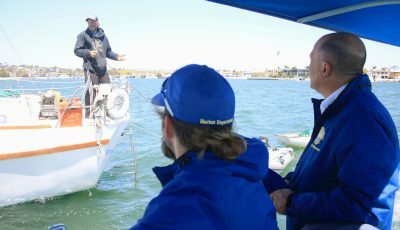 Cyclist Matt Meyer and his rhino aboard the Balboa Ferry.